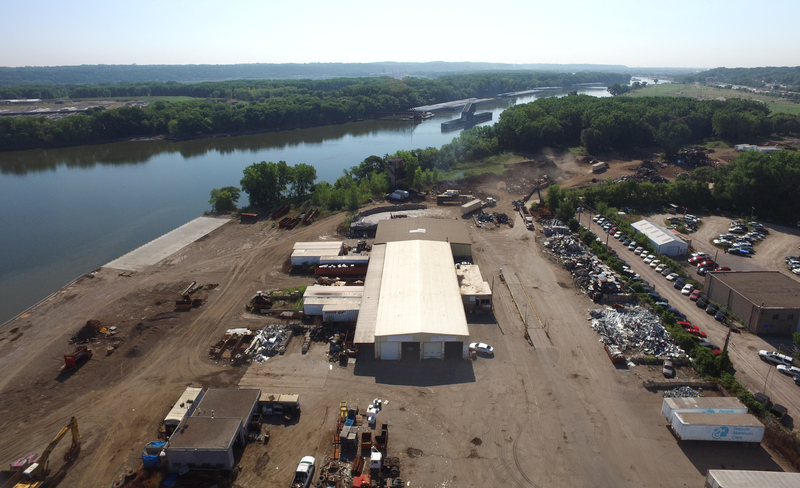 Since 1962, Alter Metal Recycling, a private, mid-west, family owned company, located in St. Paul, has been serving the Greater Twin Cities recycling needs for over 50 years. Alter will buy your magnetic and non-magnetic metals, automobiles (with title) as well as some types of E-Scrap. If you have a large amount of recycling and transportation's a concern, we provide a roll-off service that can pick up and deliver your material right to our facility. Please call our office for further details and pricing. Alter Metal Recycling is located at 801 Barge Channel Road (next to the St. Paul police impound lot). Stop in and see our knowledgeable staff about all of your metal recycling needs. Recycling creates 6 times as many jobs as landfilling.